Dongguan Xuming Ornament-Crafts Co., Ltd.
1.confirm all product details with you defore you place the order,then quote our best price to you . We are honored to cooperate with you and establish a long term cooperation relationship with y ou. Q: May I visit your factory9 A: Sure, you are welcome at any time. 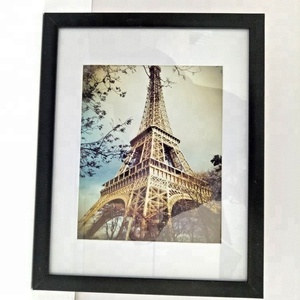 2016 hot sales big size A4 A3 love picture frame / wood photo frame wholesale (1) Product name:Wood photo frame (2) Material:Pine wood (3) Size:A4/A3/A2/11*14''/12*16''/12*18''/14*18''/16*20'' etc. (4) Color:Black,White,Red,Blue,Green,Yellow,Purple,Pink,Burlywood etc. (5) Shape: Rectangle/Square (6) MOQ:200pcs (7) Packing:1pc/bubble bag,25pcs/carton (8) Sample time:3 days (9) Production time:8 days (10) Certificates:SGS/EN71-3 Picture Show Wood photo frame: Packaging & Shipping Wood Photo Frame Packaging: Wood Photo Frame Shipping: 1) Reply your email in 8 hours after reveiving your email; 2) Send the sample before mass production; 3) Take photo to confirm with you before shipment; 4) Remake the goods for free after you got the goods and found they are different with sample. 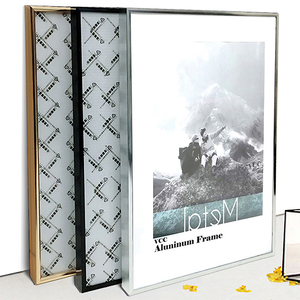 Acrylic frame. Acrylic menu holder. Acrylic box and so on. Our team continues to develop technology to ensure that HYMN can deal with any changes in inkjet photo paper market. We hold the power to create best photo and are always at your service. Q :How long the delivery time9 A :Usually 7-14 days after payment,also depend on your quantity. 2 . 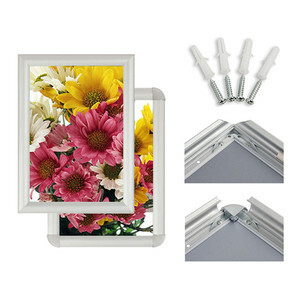 Q: What kind of frame can you provide9 We can provide MDF photo frame, PVC photo frame, mirror frame, please contact for more detail. Q: Can we get sample for quality inspection 9 After confirm the price, you can require samples to check the quality, as long as you afford the express freight. Q: Do you accept customers' design and size9 Yes, please send us your artwork or samples. A3 Picture Frames has been an interesting product in the Frame market over the past year, and it was very popular in United States,Wales,Australia,India and New Zealand; As shown in the distribution chart, market shares of these countries are folowing: [ US:40.85%, GB:14.06%, AU:10.27%, IN:3.79%, NZ:3.35%, other:27.68%]. 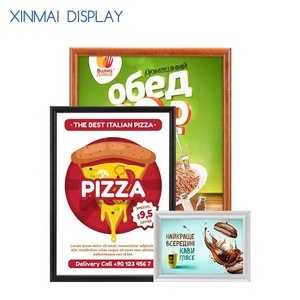 What's the trends of A3 Picture Frames product's market in 2018 (Dec 2016 to Jan 2019)?we have studied one years data on online sales, global shipping, search, sourcing and requirements of following products Photo Frame. Frame (photo Frame,Here is the report.During the research period (Dec 2016 to Jan 2019), the major trends are as following.